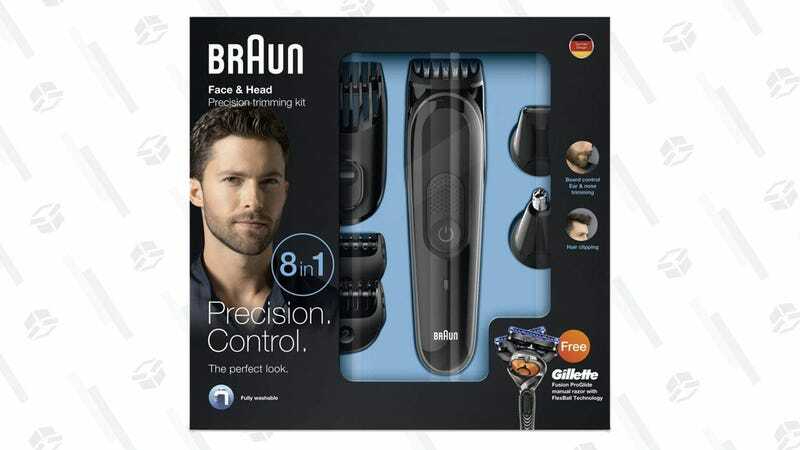 Beard-having dudes: Stop hiding your imperfections, buy this $25 Braun 8-in-1 beard trimmer, and play fair. I am not spending Valentine’s Day alone, eating hot honey-drizzled pizza, and watching Parks & Rec again. ... wait, that actually sounds pretty great. Yeah, never mind. I’m gonna do that. But that doesn’t mean you shouldn’t pick this beard trimmer, it’s a solid deal. 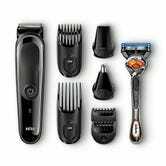 The coupon trims $10 off the regular price and it comes with a Gillette razor.